Invest in a phone with a good camera and learn how to use it. Social media for business is a daily, multiple times a day commitment. You are not going to be able to hire a photographer or have a camera on hand every day to do the posts (if you can great), so investing in a phone with a good camera, that works well in low light conditions especially is going to set you up for success. Taking the photos on a camera will mean, that you need a computer to upload the files. This will create more work for you and put more barriers between you and the instant gratification of a mobile phone. Every single product post (i.e. stuff you want to sell) should have information on how customers can contact you to make a purchase or hire your service. Never assume that just because you posted your contact details yesterday that the person seeing your post today already has your address. Ideally post a number that is Whatsapp activated because for most people these days telephone calls are so 2014. Mix it up ever so often. Don’t just post about you and your products. Try to follow what I like to call the 70-30 rule when it comes to posts, that is to make 70% of the content about your products and 30% can be cool stuff you find online that is related to what you do or that is trending and people are talking about. Clearly you want to make sure you’re not sharing any lewd content or jokes on your business page unless of course that’s in line with the kind of business and customers you want to attract. Look for quotes, images, jokes, and industry links that are already trending to share as part of your feed or pages content. Let your customers talk for you – Ask your customers who found you on social media and did business with you to kindly post about their experience doing business with you and to tag you. Repost your satisfied customer posts and thank them for their business on your feed. If you are on Facebook make sure you select “local business’ in the business type so that you can enter your business’s physical address. When you do this Facebook generates a map that customers can use to locate you. Also don’t forget to put your number on your Facebook page, this makes it way easier for customers to reach you because if they are on a phone they can just call directly from Facebook by clicking on the phone number. 6. Videos are your friend especially since the videos can be watched without going to YouTube right on Facebook/Instagram. Use that phone with the great camera that we talked about up top on #1 to record and post short 1mins videos of you making your product, of the product being used as intended, or to show a function that is not easily shown on a still picture. Don’t tag people unless you have an established relationship with them, or have asked their permission. One of the quickest ways to lose followers or to put people off about your brand is tagging them every day on your content. It’s like standing on the roadside and having someone yell “look at me” each time you pass. Annoying isn’t it? Yes. Get on Instagram: Instagram is actually the fastest growing social media platform (It was in 2014, now its Snapchat but IG is still big). Get an Instagram page, and learn to use #hashtags so that people interested in your type of products can find you easily. Remember the proper way to use a hashtag is like this: #AfricanPrint #AfricanFashion #Fashion #Design and not like this #AfricanPrint#AfricanFashion#Fashion#Design. Whatsapp is your friend – If used correctly Whatsapp can be the bridge that turns business leads into actual customers. Share your Whatsapp number on your social media feeds. Have posters and flyers designed and stored on your phone so you can share items on sale with customers. For example a restaurant can create a Whatsapp friendly menu that they can share with customers. 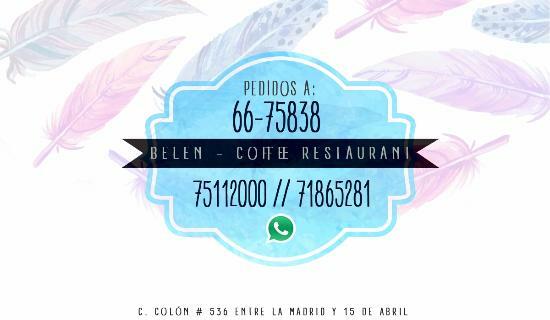 And at the actual restaurant visibly promote the Whatsapp number and tell customers that they can order via Whatsapp. The good thing about using Whatsapp to process orders is that you actually have the chat saved to cross check that there are no error. Use your brand logo on the image you use as your DP on Whatsapp. Although joining one too many Whatsapp chat groups can be annoying being in the right group can help you reach out to targeted customers and introduce people to your brand. 10. Use your social media business platforms to help people – If there is one thing to remember that will keep you winning with your business on social media is positioning your brand and posts in a way that they can be useful to others. Your product or service should meet a need. Whether you are a fashion designer, a restaurateur or a photographer your role in your client’s life is to make it better. So in addition to posting your outfits, food, and your latest photo shoots also consider content that provides tips to your customers, opportunities for learning that will make their lives easier and have them feeling like they are part of your brand family.